Urban lofts are pretty popular, and GMC thinks it has “the automotive equivalent of an urban loft apartment”: the GMC Granite concept, which will debut at the Detroit auto show. Styled with an “industrial look,” the Granite is edgy, beveled, and crisp, with multi-layer LED taillamps out back and headlamps that stretch into the hood. All the brightwork is brushed or satin-finished, as opposed to chrome. However dissimilar it looks to its current GMC brethren, we like it anyway. 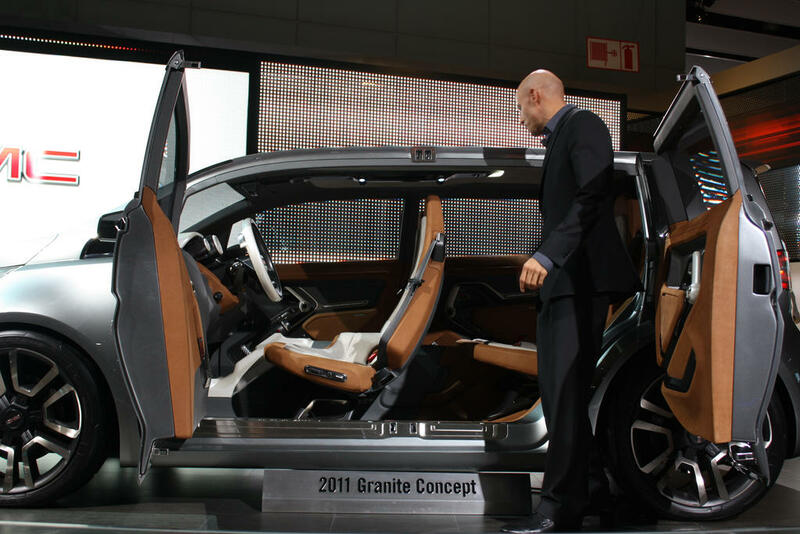 Two feet shorter than the freshly added GMC Terrain, a production Granite would be the most compact GMC ever, and would be closer in concept to the Scion xB than to anything currently in the lineup. For further reference, the wheelbase is about as long as that of a Chevy Cobalt, but the overall length of 161.3 inches is about the same as a Honda Fit’s. At 70.3 inches wide, the Granite is about 3.5 inches wider than the Fit. Lots of space has been carved out of those modest dimensions to accommodate, say, stuff with which you might want to furnish an urban loft. Long items such as a floor lamp, folding table, or even a prone supermodel can be brought inside, due to front and rear passenger-side seats that fold forward and rotate inboard. The four doors open French-style and there are no B-pillars, creating a large opening to load gear and passed-out people. The full-length center console has a bunch of power ports to plug in computers, iPods, and other electronic gobbledygook. And, as is expected of a show car, technology-laden interfaces replace the familiar. Controls for the climate control, navigation, and audio systems, for example, are located on an organic-LED screen. Power for the Granite concept comes from a turbocharged 1.4-liter four-cylinder; a similar, 138-hp unit is debuting in the upcoming Chevrolet Cruze. The engine is mated here to a six-speed automatic gearbox, which is controlled by a rotating electronic gear selector—like that used by Jaguar—instead of a conventional lever. GMC, of course, has not announced an intention to produce the Granite, but we think it’s pretty probable given every automaker’s need to meet upcoming emissions and fuel-economy mandates. 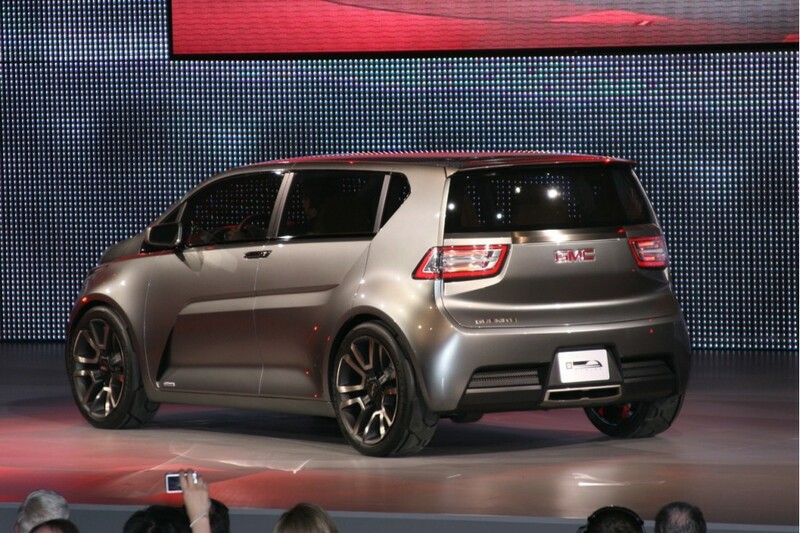 And as it’s likely to be based on the Cruze, such a GMC shouldn’t cost a tremendous amount of money to develop. We say bring it on.